I expect that Jean will step into Karl's shoes and become our new "godfather" . I would like to propose December 1, 2008 as the start date for the next Mob game, to be known as "One vs. The Mob 2009." How does everyone feel? Are you rested and ready to go, or do we need some more down time? It could be that the general expectation is that the next Mob game should wait until after the next world championship has finished. Although it should be expected that the game will still probably go through another championship regardless, not only would it be better to limit the number of such occurrences for sake of the quality of the game, it would perhaps also be better if such a thing were to happen comfortably in the middle of the game, when things are settled and Mob members are comfortable in their role. I can understand the Mob's hesitancy to start another game given the severe humiliation that awaits them. Why not postpone a painful defeat for as long as possible? Clearly the only reason the next game hasn't started already is that the Mob is chicken. Dec 1st is OK for me for the game start. 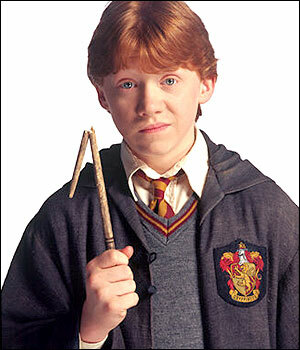 I think that Ron should toss a coin who shall play gold Fritz or the Mob. Yeah, December 1 is a good proposal. Well, we have already played silver, why not try something new and take command of the Golden Army? I'm happy to take the advantage of the Silver pieces if the Mob is so far behind the times as to still think that playing Gold is better. Choice of color can be the Mob's first weak decision in a spiral to oblivion. But honestly, do you still have the feeling that Silver might actually have the advantage like you stated earlier or was that just a spur-of-the-moment impression? As a suggestion for next time, try to keep a record of who came up first with every played move. The Mob might want to start discussing its opening setup. (I don't mind if you guys start before your clock is technically ticking; you need all the help you can get.) Is Omar the only one who can create a new discussion group, or does RonWeasley have some kind of admin rights in this subfolder? I just tried and I don't see how to do it. We definitely need a new group under team games. I'll ask Omar. Of course Silver might have the advantage. We are a long way from proving anything about Arimaa openings. A better question would be this: Assuming that Arimaa is some day proven to be a forced win for one player or the other, what odds do you give that the player who has the forced win will be Silver? Silver has nothing to compensate Gold's first move of four steps, and therefore should be about two steps behind. It could theoretically be that Gold is in zugzwang, such that any move worsens his positions, but I don't buy it. It seems totally improbable that tempi are worthless in the opening. Now Silver's elephant is directly opposite Gold's camel, while Gold's elephant is three columns away from Silver's camel. Obviously there is more going on than this, but supposing that the objective of the opening were merely to touch the opposing player's camel with one's own elephant, then Silver's setup would have gained three steps, more than offsetting Gold's nominal two-step advantage from moving first. This sort of thought experiment has me presently forecasting that the player with the forced win is about 50% likely to be Silver. Of course, I would whip the Mob from either side, so color doesn't really matter, but it will be fun to blame the Mob's eventual loss, at least in part, on the Mob erroneously choosing to play Gold.